In Lyons -v- Fox Williams LLP  EWHC 532 (QB) Mr Justice Turner considered issues relating to costs after a claimant had been unsuccessful in a claim for professional negligence. The claimant had been unsuccessful in a claim for professional negligence against the defendant. Some of the defendant’s lines of defence had not succeeded, however the claimant had still recovered nothing. The earlier judgment is available here. Although the defendant had raised issues upon which it was not successful the claimant had failed to recover damages. In this case it was not appropriate to make an issue based costs order. In particular the claimant had turned down a Part 36 offer of £500,000. The claimant recovered nothing from the proceedings he brought. By the application of the general rule, he is undoubtedly the unsuccessful party and would normally expect to be ordered to pay the costs of the successful defendant. iii) offers to settle – sub-paragraph (4)(c). To an extent, there is an overlap between the “conduct” and the “partial success” factors. In particular, the relevance of partial success to the exercise of the discretion relating to costs may, at least in part, be determined by the reasonableness (or otherwise) of the successful party in raising an issue or issues upon which he lost. Save for the extent to which the defendant lost on issues which the claimant argues that they should never have contested, the parties do not articulate any free-standing arguments relating to “conduct”. I consider that they were right not to do so. This judgment will therefore concentrate on the other potentially relevant features of the case and assess matters of conduct to the extent (if any) they arise within the scope of such issues. The claimant’s case centred around two main issues. The first was an allegation that Mr Custance had failed properly to advise him on his potential claims under two long term disability policies (“LTDs”) which had been taken out on his behalf by EY. The second was based on Mr Custance’s failure to advise the claimant that the agreement under which he parted company with EY (“the 2009 agreement”) should contain an English law and jurisdiction clause. The claimant was successful on neither main issue but not every line of defence raised by the defendant prevailed. I subsequently assessed this chance to be at the level of 50% and rejected a short point made by the defendant on the proper method of assessing the level of damages which would have been awarded if the claimant had succeeded on liability. On the 2009 agreement claim, the claimant lost because I found that, although Mr Custance should have strongly recommended to the claimant that he should strive to include an English law and jurisdiction clause in the 2009 agreement, the claimant was well aware that the agreement contained no such clause but decided to proceed in any event. EY would simply not have agreed to the inclusion of any such clause. Nevertheless, the question remains as to whether in the circumstances of the case as a whole it would be fair and just to reflect this factor by departing from the “costs follow the event” starting point. Propositions that may be derived from the Multiplex Constructions case and other authorities and which may be stated with a degree of confidence are as follows. 1. The rules themselves impose no requirement to the effect that an issue-based costs order should be made only “in a suitably exceptional case”, and none is to be implied, although “there needs to be a reason based on justice” for departing from the general rule, and that the question of the extent to which costs of a particular issue are to be disallowed should be left to the evaluation and discretion of the judge. 2. The reasonableness of taking failed points can be taken into account, and the extra costs associated with them should be considered. 3. Where the circumstances of the case require an issue-based order in the form of an order expressed by reference to the costs of the issue, that is what the judge should make; however, generally, because of the practical difficulties which this causes, the judge should hesitate before doing so and, where practicable, the order should be expressed as a percentage or with reference to a distance period of time. 4. There is no automatic rule requiring an issue-based cost order in the form of a reduction of a successful party’s costs if he loses on one or more issues…The mere fact that the successful party was not successful on every last issue cannot, of itself, justify an issue-based costs order. iv) The defendants had not taken a “kitchen sink” approach to the litigation as a whole as is evidenced by the settlement of issues which would otherwise have been left to the court to adjudicate upon comprising the costs of an application relating to the jurisdiction issue under the 2009 agreement and also in respect of a separate Accidental Death and Dismemberment policy. By letter dated 29 January 2016 the defendant made a Calderbank offer to settle the claim in the sum of £500,000. This was rejected by letter of 5 February 2016. It is not disputed that the court is entitled to take this factor into consideration on the issue of costs. The defendant contends that it is appropriate for an order to be made awarding indemnity costs from the date of refusal. The authorities provide that the refusal of a settlement offer may justify the award of indemnity costs but only where the refusal is unreasonable to a high degree. Undoubtedly, the claimant’s refusal of the settlement offer was, particularly with the benefit of hindsight, unwise. Nevertheless, I am satisfied that it does not fall into that class of case in which the courts have considered it apt to impose the further burden of indemnity costs. I thus decline to make the order requested in this regard. 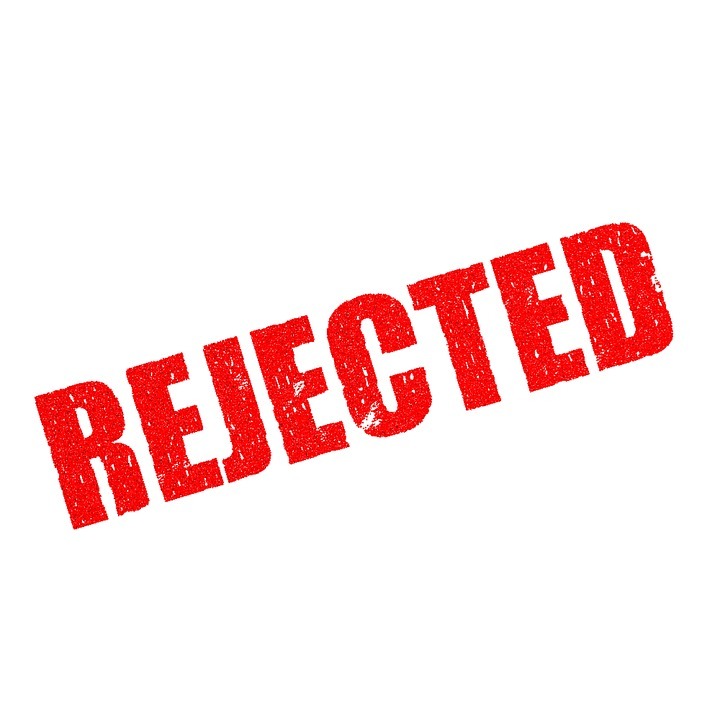 The claimant accepted two Part 36 offers made by the defendant in respect of the costs of an application relating to the jurisdiction issue under the 2009 agreement and also in respect of the separate Accidental Death and Dismemberment policy. The claimant now seeks further orders relating to the costs consequences of the acceptance of these offers. However, the deemed costs consequences of accepting Part 36 offers are laid down in CPR 44.9 and paragraph 4 of my order of 25 October 2016 identified the fact that it had been made without prejudice to the terms of the settled claims and the orders made pursuant thereto. Accordingly, I decline to make any further order relating to this aspect of the case. The court has power under CPR 44.2(8) to order a party to pay a reasonable sum on account of costs. A dispute arises in this case, however, as to what sum is reasonable. I have considered the contentions set out in the respective written submissions of the parties and the authorities referred to. I am, in broad terms, satisfied that there can be a relatively high level of confidence about the level of costs which are likely to be awarded to the defendant on detailed assessment and that the overall figure claimed does not appear to be unduly ambitious. Bearing in mind that this is ultimately an exercise in discretion, I have reached the conclusion that, to reflect the residual elements of uncertainty and to factor in an appropriate margin of error, it would be appropriate to order an interim payment in the sum of £500,000 in accordance with the defendant’s position on this issue. The claimant assumed that the draft order sought by the defendant aimed to achieve an interest rate of 8% with respect to costs. However, this ambition was limited to interest on the costs payable under any delayed or unpaid interim payments. As the orders relating to such payments were set aside, the issue no longer arises. The application to set aside the earlier order of the court was necessitated primarily by a breakdown of communication between the claimant’s counsel, his clerks and his instructing solicitors. The draft judgment had been served on leading counsel and his clerks. There was no justification for subsequent inactivity. The original order of this court was set aside not on the ground that inadequate notice had been given to the members of the claimant’s team but that the demands of fairness to permit them to make representations counterbalanced the deficits in their original response. I do not take the view that the defendant’s resistance to the application was unduly opportunistic despite the fact that, in the event, the claimant was given a further opportunity to make his representations. Costs and conduct: a percentage reduction for a successful claimant. Proportionate costs orders when costs are £8 million and £10 million apiece: High Court decision. It’s not just winning but how you play the game: costs orders when both parties assert they have “won”. Costs and Conduct 2: Loser pays all applies. Offers to settle: costs, conduct & a whole lot more.